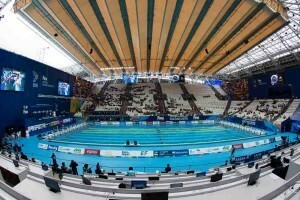 The 2016 Southern Zone Sectional Championships, hosted by the Plantation Swim Team in Plantation, Florida, always attracts a handful of elite swimmers and Olympians, partially because of the depth of talent based out of the state of Florida and partially because of its favorable March climate that makes it host to training camps for swimmers from different parts of the world. 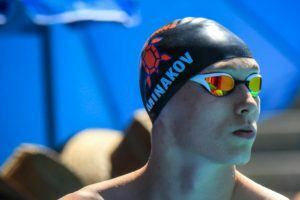 This year’s meet has been elevated even further thanks to the presence of a few American stars from around the country. That includes the headliner: 4-time Olympic gold medalist Missy Franklin. Remember that Franklin was a late-entry last week to the Arena Pro Swim Series stop in nearby Orlando,Florida. In Plantation, Franklin is entered to race an unusual schedule for her. Her entries come in the 50 backstroke and the 50, 100, and 400 freestyles. The 50 back and 400 free are unique events from what she raced in Orlando – where she swam her best in-season meet since 2013. She won’t be unopposed in any of those races either. 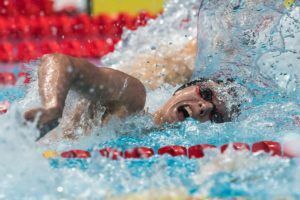 In the sprint freestyles, she’ll face off against two of the top Canadian sprinters Chantal van Landeghem and Sandrine Mainville, as well as American Megan Romano. For Romano, this will be her highest-profile meet of the season after leaving her training with the Longhorn Swim Club and returning to her native South Florida to train alongside the likes of Olympian Claire Donahue at the South Florida Aquatic Club. 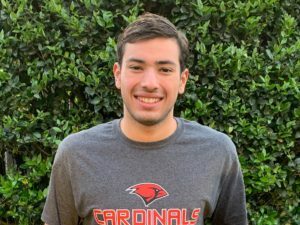 At more minor meets so far this season, Romano has swum a 51.54 in the 100 yard free in November and a 26.08/56.26 in the 50 and 100 meter frees in mid-February. Donahue will also be in attendance at this meet, racing the 50 free, 50 fly, 100 fly, and a more unusual event for her: the 200 fly. There she’ll show down against 32-year old Canadian Audrey Lacroix, the defending Pan Ams and Commonwealth Games champion in that event.